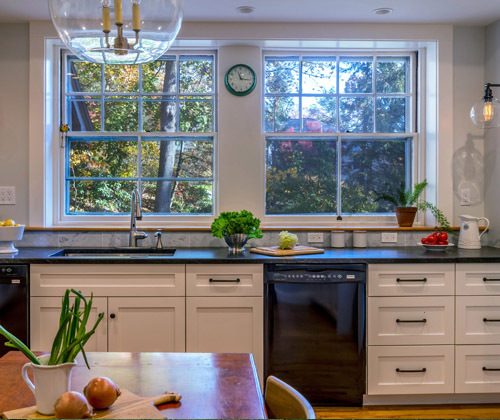 This kitchen remodel project remains one of my favorites. Debbie and Jerry had initially reached out to me to help them redesign their Victorian pantry. They were running out of space, and needed a solution to accommodate their storage needs. 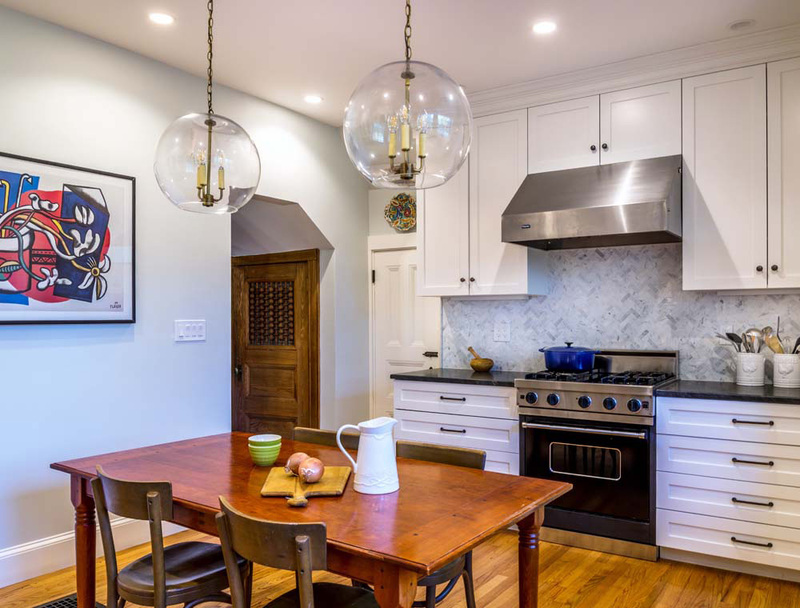 The kitchen renovation came next, involving a major expansion into the adjacent staircase and hallway. 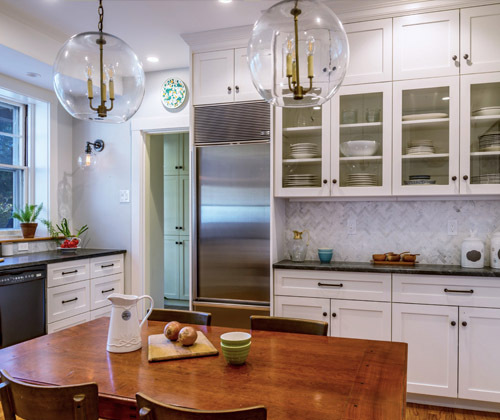 They wanted an eat-in kitchen spacious enough to host their children and grandchildren, and so instead of an island we placed their dining table at the center of the kitchen. 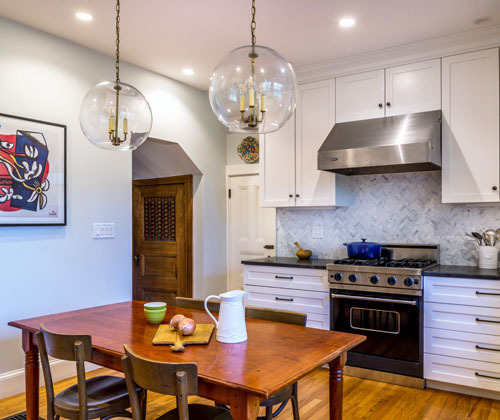 We added an extra 40 square feet to the kitchen by moving the wall between the kitchen and hallway and reconfiguring the back staircase. This resulted in a much more functional kitchen, with better flow. Choosing materials and finishes with Debbie was a delight. 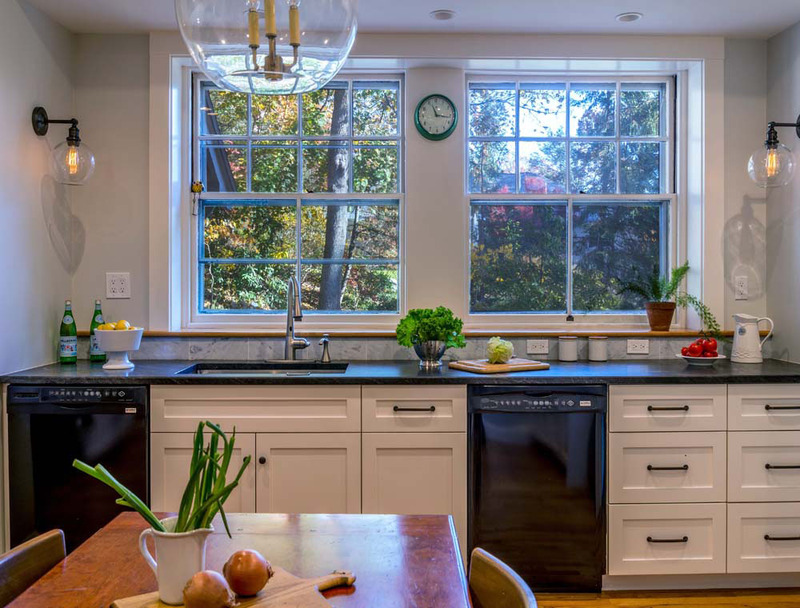 She wanted the kitchen to be visually connected with their beautiful backyard garden, visible through the two large kitchen windows. To emphasize the windows, we added two glass wall sconces on either side (from Restoration Hardware). 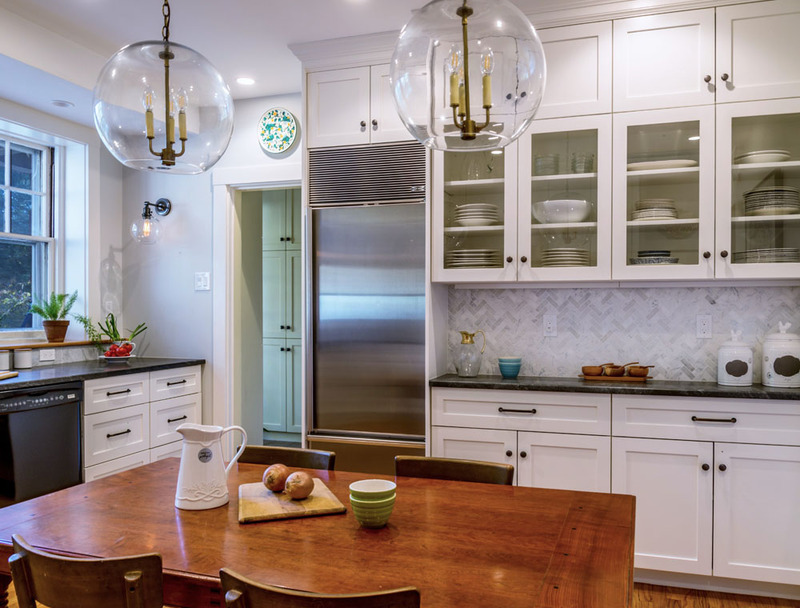 By selecting two large globe glass pendants, we were able to keep the view completely clear. 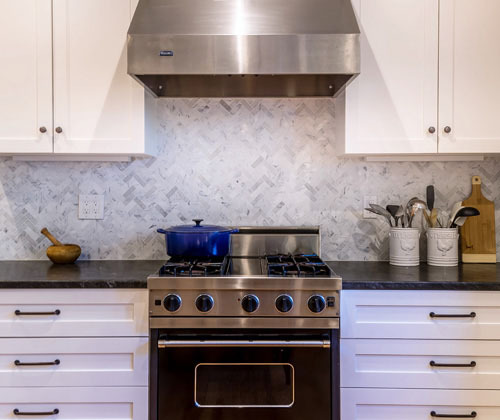 For the paint colors, tile, countertop and backsplash selections, we went with a classic color scheme using gray, black, and white, offset by hardwood flooring. 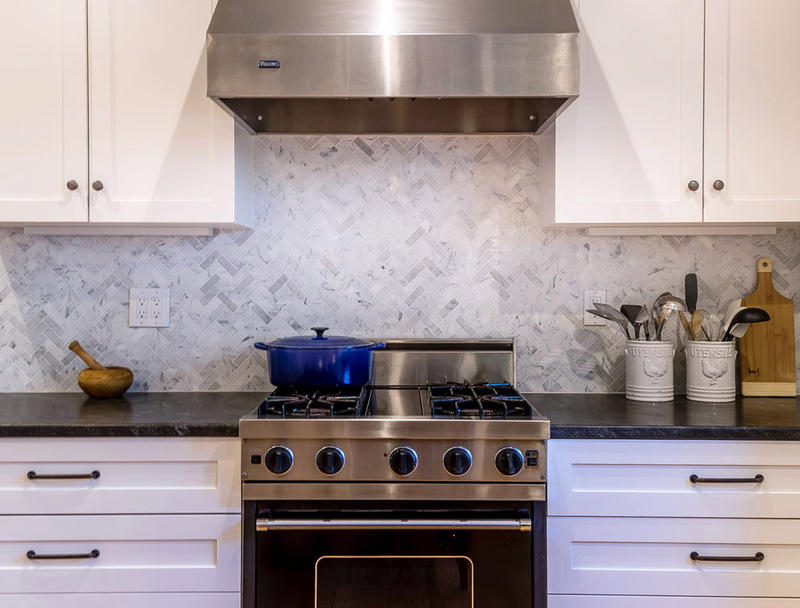 The herringbone-mosaic pattern of the backsplash marble tile livens up the mostly classic look.